Success is simple, but not easy. When you follow a proven roadmap, you don’t need to make it complex and time-consuming! We’ve proved this in our own businesses. How? We started our businesses by fitting it into the nooks and crannies of our days. We are a team of action takers… jump in and fix it as you start to fly. If it doesn’t work, pivot and try again. This is a simple concept, but isn’t always easy! You may have questions or need certain tools so you can move ahead. Our team helps you stay motivated and make progress. The daughter of two schoolteachers, it’s no surprise that Megan thrives on helping others. She enjoyed her own career as a first-grade teacher where she offered daily reminders to seven-year old’s that they were destined for greatness. 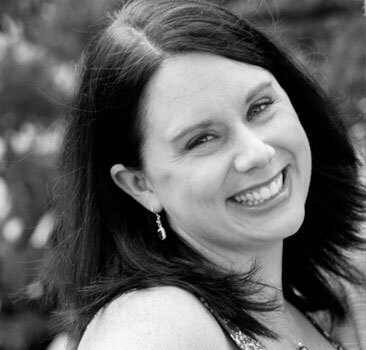 Outside of her career, Megan nurtured a love for health and wellness. It started in her college days when after a lifetime of being overweight, she finally made the ONE DECISION to get healthy. She lost 80 pounds working out 6 days a week. She LOVED learning about nutrition and how to use food and supplements to fuel your body. 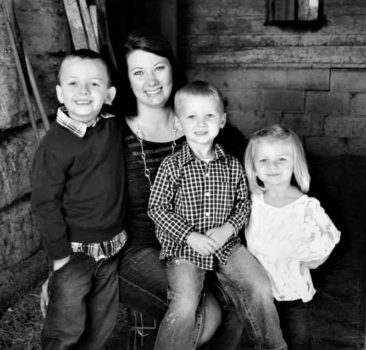 While Megan loved her job, she felt pulled in a new direction after having her own children. She wanted the freedom to drop them off at school and be there for them during the field trips and other firsts. For the first time in 15 years, she started questioning her teaching role. Something had shifted for her. As a busy working mom, juggling kids, home and job, Megan found herself tired and cranky more than she cared to admit. One night while half-heartedly scrolling through Facebook, she saw a friend talking about a new health product that had increased her energy and reduced her aches and pains. Megan ordered it, found it to the do the same for her and the rest as they say…is history. Two years later, Megan’s left teaching and enjoying living in the woods of Jordan, Minnesota with her super-supportive husband and two kids in their newly-built dream home. She’s still amazed that talking, connecting, sharing, and following up with people could GROW a business that quadrupled her teaching salary in less than a year. She’s built a business that generates $600,000 per month in sales. Now, she’s home for her kids and shares her enthusiasm for this health supplement product with others. 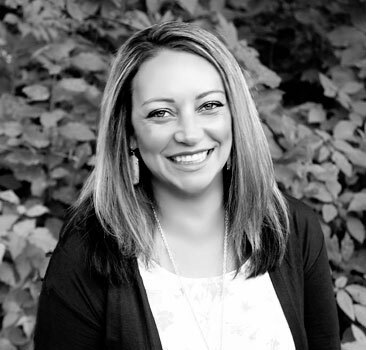 Jamie Westerman is a part-time family practice nurse practitioner in a rural northern Minnesota practice. As a single mother with tuition loans and a household, not surprisingly, a nurse practitioner’s income doesn’t go far. While Jamie never thought she’d do anything outside of the immediate medical community she decided to stretch her comfort zone. It turned out to be life-impacting decision. 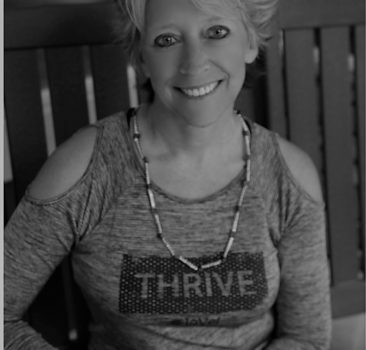 Each day she uses her knowledge of the human body and shares her enthusiasm for the health supplement products that boosts her vitality with her appreciative clients. Jamie’s found a perfect balance. She works part-time in a position she loves in a health clinic in Breezy Point and she’s able to have her afternoons free. She can have lunch with her children at their school and spend their short Minnesota summers on adventures instead of behind a desk. She feels like she’s reclaimed her time and she’s not stressed when she looks at her finances. Today, Jamie feels like she’s truly living life to the fullest and is so grateful to her team and business partners for guiding her in her ONE DECISION! 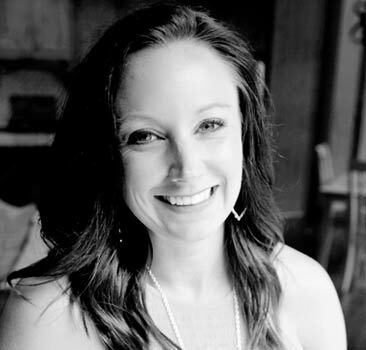 Like Megan, Talia Roder also worked as an educator for nine years before starting her network marketing business in 2015. Also like Megan, she’d completed her Master’s Degree in Education and planned to spend her whole career within the teaching profession. Yet, she quickly found that her experience with the health products she enjoyed was taking on a life of its own! As she experienced greater health and vitality from the products, she shared them with others who also experienced a boost in their well-being. Eventually, Talia retired from teaching. Just two years later, Talia is a marketing and sales professional working for the fastest growing direct sales company as a 200k brand promoter. Talia reached the top rank of the company in 11 months, growing a business that nets over $400,000 in sales per month. Talia travels around the United States to support her ever-growing team by hosting corporate events and serving as keynote speaker… a career she enjoys immensely… all because of ONE DECISION. 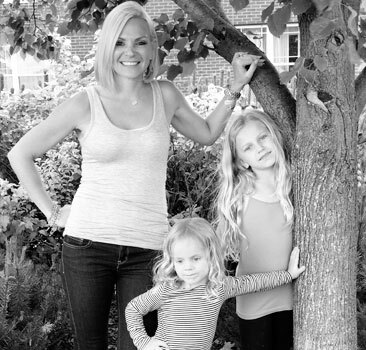 Talia currently resides in Clarksville, Tennessee with her three children. She loves to serve others and help them discover both the health and business benefits of being part of her network marketing team! The financial rewards and time flexibility have been a secure footing for her to build a life she loves, while still enjoying time to be there for her kids! 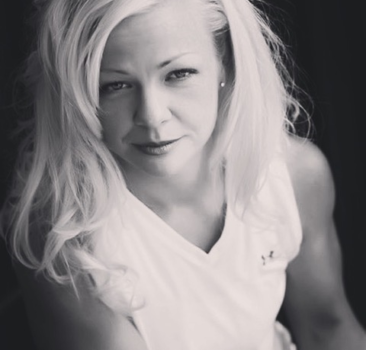 As her sons grew and she found herself with more time to on her own she decided to pursue this passion by becoming a group fitness instructor. 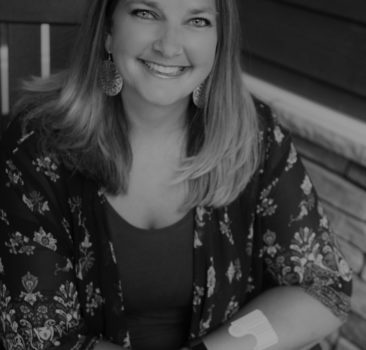 With the confidence she gained from this experience she has devoted herself full time to helping others along their own health and wellness journey. By doing what she loved she has taken her passion and hobby and become an entrepreneur running her own business from home, as the CEO of FitYoung Inc. She currently resides in California and manages a team of like minded people stretching from Virginia to Japan. 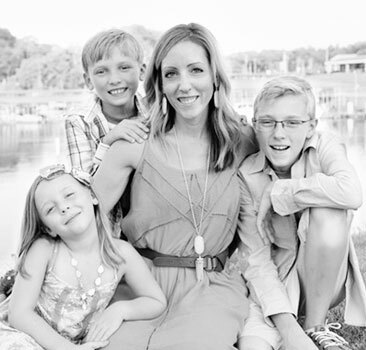 While many women see themselves working in a school, hospital or office, Jill always dreamt of being a wife and a mom. She jokes that she went to college to get her MRS. degree and happened to get an elementary education degree on the side. She jokingly flashes her wedding ring saying, “I did it!” while chasing three little blonde girls around their home in the woods. Then, a friend introduced her to a health product and she loved it. Jill started sharing her results with it with her own friends and family and before long, she’d rediscovered another side of herself. While she still loves hearing “Mama,” she also enjoys attending networking events and hearing life-changing stories. 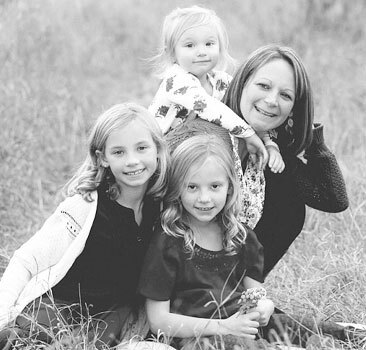 Amber is a single mom of 3 amazing girls living in a rural community in northern Minnesota. Her home-based business offers flexibility in her schedule to work when she can from most anywhere and still be there for her daughters. She also works part-time as a Registered Nurse Educator in a local hospital. She’s thrilled to help others succeed and be a positive role model for her girls, showing them that anything is possible. She credits working with a group of inspiring leaders as the motivation she needed to become a better mother and entrepreneur. She says their support and encouragement provides her with the resources she needs and she thinks of them as family. None of this would have been possible without ONE DECISION. 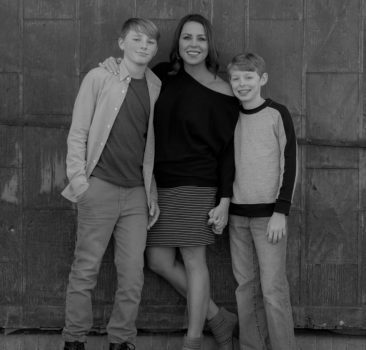 After 15 years as a full-time teacher, Kara realized that while it was a rewarding career, she wanted to be able to offer her three boys experiences that her own family couldn’t afford when she was growing up. She remembered the toll lack of money took on her parents and she wanted more for her children. This motivation led her to pursue her own business. Teaching runs in the family. Both of Katie’s parents were school teachers as well as her older sister. While Katie enjoys teaching – and she enjoys that her two young children are attending her school, she’s also thrilled to have a supportive husband. He’s active with the children so she’s able to find extra time to improve herself and discover other financial opportunities that have been both financially and mentally rewarding such as her network marketing business. Inside, Jill is just a small town girl who has always had big dreams. She grew up in a small town in Northern Minnesota and loved every minute of it. She spent most of her time growing up outdoors, and spent lots of time with her family and friends. Even though she loved her life, she felt something was missing. So, at 27 Jill decided to pack up all her belongings and move to Orlando, FL to further a career in the hair industry. Big Things were going to happen for this girl. She was lucky to have a career that could move anywhere. She ended up working at one of the top salons in Orlando and built an amazing business there. A few years later, Jill was offered a full time position in corporate America with one of the most well-known hair care brands. She was offered a full time salary, was able to travel all over Florida, inspire other stylists, and help them grow their business. This company has given her so many opportunities, but there was still something missing. She had two small girls and a husband to take care of. She was so busy with work that she was missing out on what was most important. Her Family. She needed help. Jill reached out to a friend who introduced her to a new life full of balance, happiness, and an amazing support system. It was life changing for Jill and her family. She fell so in love with helping herself that she needed to help others feel what she was feeling. She needed to help others break free of this craziness. Now, Jill has built this amazing business helping others feel this balance and freedom and it is very rewarding. She found her calling with helping others live a life they desire and how to earn an income doing so. Jill now gets to make others feel beautiful on the inside and look good on the outside and for that she is forever grateful! 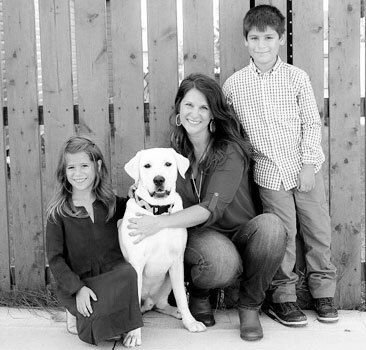 Mikaela has spent the last 17 years as an elementary education teacher. She has had the opportunity to work in fantastic schools with amazing colleagues and students. She enjoys the variety of the job and daily learning that happens. Mikaela has lived and taught in Vermont for the past 10 years. In that time, she and her husband have welcomed their two children into this world. 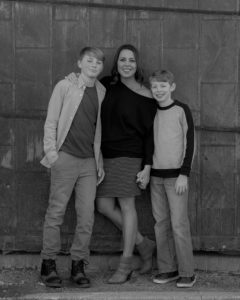 She loves her career as a teacher, but after years of not getting the quality time she desires with her own boys, she decided to look for something that would allow that freedom. Mikaela is so grateful to have found a work-from-home career that she is incredibly passionate about. She gets to continue to positively impact the lives of others, all while making life-long memories with her own family. Connie Lundeen has always had a passion for helping people. Growing up in a small town in northwestern Minnesota, Connie embraced the team concept early on excelling in athletics. She earned a degree in sports medicine and worked not only in that field but also in dental medicine. She then took a very personal journey on the road to recovery and not only was successful, but has embraced her own story to advocate for other people in recovery. 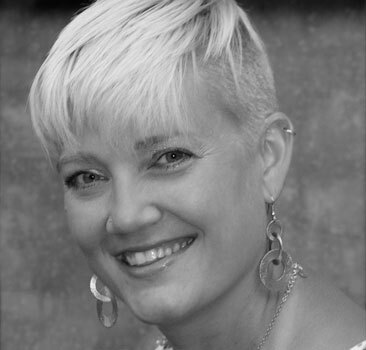 She has served as a sponsor, speaker, and all around inspiration for others in the recovery community. When her sister bought her a product to push health and wellness to the next level, she hesitantly accepted out of obligation. Little did she know this product would lead her to a business and team of other passionate women striving to prosper and change lives. She now is able to work her business full time, volunteer in the recovery community, and spend her days helping people feel as great as she does! It all started 4 years ago when I decided I wanted more out of life. I was working full time as a teacher but found myself needing something else. I decided to start a small business making cakes with a friend. We absolutely loved making cakes, especially because we were able to help friends out. The cakes were beautiful and word started spreading, and as we made networks and connections we were suddenly driving cakes all over the place, we became crazy busy, the income was all being used to purchase cake boxes and supplies, and we were breaking even and decided to stop. A year after quitting cake decorating, I found something that would change it all. I opened my own business and was finally able to make profit! The best part was that I didn’t have to drive cakes all over anymore, or spend hours decorating a cake at night. I could do this side job from my phone, anywhere I was. It sounded too good to be true, but it wasn’t. I started again, networking with people and making connections with friends I had lost touch with. This was right. This was changing my life. The best part was being able to finally afford things for my kids that I couldn’t in the past. I had been sending my kids to poor quality swimming lessons, and always wished that I could afford the best swimming lessons. My kids were afraid of the water, and I could finally spend $500 and made an investment. I had never had an extra $500 in my whole life. They are now happy in the water, they are brave and strong swimmers. That one decision has changed my family’s future. My small business has opened doors for us that never before were possible. Not only was this small business providing me with a little spending cash, I was able to earn a monthly auto bonus that was generous enough to pay for both my husband and my car payment. I can afford 2 car payments, and invest more into my family than before. That one decision has truly been a blessing, and for that I thank God daily. It would not have been possible if I never made that one decision. I DECIDED to try a nutritional supplement because I’ve been a personal trainer for over 20 years, a group fitness instructor, and in the profession of changing lives for the better. I believe in nutrition support and that our bodies deserve only the best ingredients so that they may thrive, not just survive. I’m so glad I did place that order, because hearing the genuine excitement, uplifting testimonies, and the joy in each person’s voice when they let you know that they feel like “themselves again,” is worth the world. The mission of our team and the entire network of the people involved with our company makes it all the better. It’s a blessing to be involved in a company that uplifts people and facilitates dreams becoming reality—on all sides. Sarah lived most of her life in a small town with her family, except when she ventured to college. Even after college she came right back. She knew she always wanted more but wasn’t sure how to make that happen. As her roots grew deeper so did the bond she had with her family. This is where she wanted to be. This is where she wanted to raise a family. 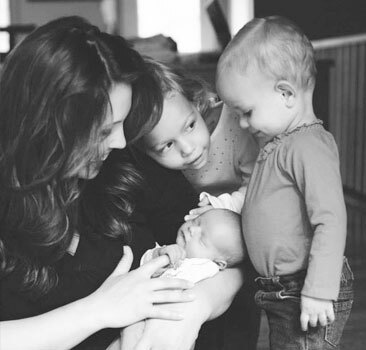 Sarah now has 3 beautiful children, 2 of which are twins and a loving husband. She now understands this is where she was meant to be. Being able to raise their children first hand was very important to her and her husband. All the puzzle pieces were fitting together.